Do you ever wonder where those words of wisdom come from that you hear people saying? There is an endless supply of quotes and advice that will help you be wise and happy. Let's look at some of them and some of their sources. Many philosophers and wise people throughout the years have explained how to gain wisdom. You can find words of wisdom in books, plays, speeches, and sermons. Do you want to know the key to being happy? There are a lot of people who can tell you. There are no real "secrets" to happiness; you have to figure out what makes you happy. Maybe you want to find your soul mate or just want to know how to get the most out of life. Following are some words of wisdom about happiness from famous people, and some not so famous. Zig Ziglar is a well-known motivational speaker who wrote See You at the Top. He mixes religion with self-help ideas to create wisdom for everybody. His message can help you in all areas; from help with your business goals to managing your personal life. 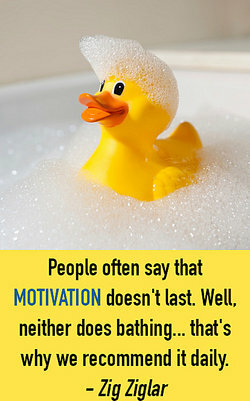 People often say that motivation doesn't last. Well, neither does bathing... that's why we recommend it daily. "Words of Wisdom." YourDictionary, n.d. Web. 20 April 2019. <https://quotes.yourdictionary.com/articles/words-of-wisdom.html>. Do you ever wonder where those words of wisdom come from that you hear people saying? There is an endless supply of quotes and advice that will help you be wise and happy. Let’s look at some of them and some of their sources.